For all those who do not have sufficient training in searching for vehicles, investing in second-hand machinery could seem like a risky project. It could be quite difficult to tell exactly what condition the vehicle you are planning to buy comes in, and whether it has the right price or not, if it is suited to meet your business needs as it may seem. 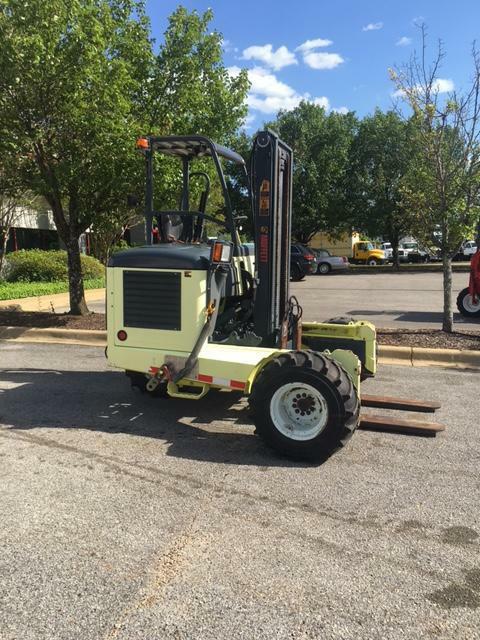 When buying used forklifts for sale, the matter further complicates by the heavy investment required to source the vehicle. The good news is, though there are many ways to tell if the polished forklift in front of you is worth your money and time, there are some tips that could help you to spot a worthwhile deal. During the inspection of your forklift, we have some tips on how you could do this all right. You can start by checking taking your time to check the forklifts for any signs of cracks or damages such as warping since these can hamper the ability of the forklifts to carry heavy loads easily and safely. You should also check the masts to ensure that the cylinders do not leak, check the shift cylinders, tilt, and pins. You should also check that the shift cylinders are secure and the mast rollers and rails should have no signs of damage to them. You need to look for any signs of damage on the sides of the forklift and you should also push it to ensure the cowling is functional. You could check all the safety supports, and the side screens to ensure they protect the operators effectively in cases of accidents. You should also inspect the bends, chassis for signs of cracks, bends, or welding signs. You need to ensure the safety of the shift arms, the levers and check the parts are in good working conditions or not. You should also test drive the vehicle as well to see the accelerating, steering, reverse functions, and braking are all working in the right way as they should. You should open the engine compartments to inspect for dirt, leaks, and signs of damages. Test the oil in order to make sure it is not leaking and you could check whether the air in the filter is clean. In addition, inspect the exhaust guard at the forklift back to ensure there are no any signs of damage to it as well. When buying a used forklift truck an important thing to also remember is when you buy it, your inspection as to be as thorough as complete. However, for information on sourcing used forklifts, you can contact us at Moffett Truck as your trusted suppliers. Here at Moffett Trucks, you can find different options when it comes to Moffett forklifts. You can feel free to visit us today or explore our website to get information on the details of the models, the specs, and more details.